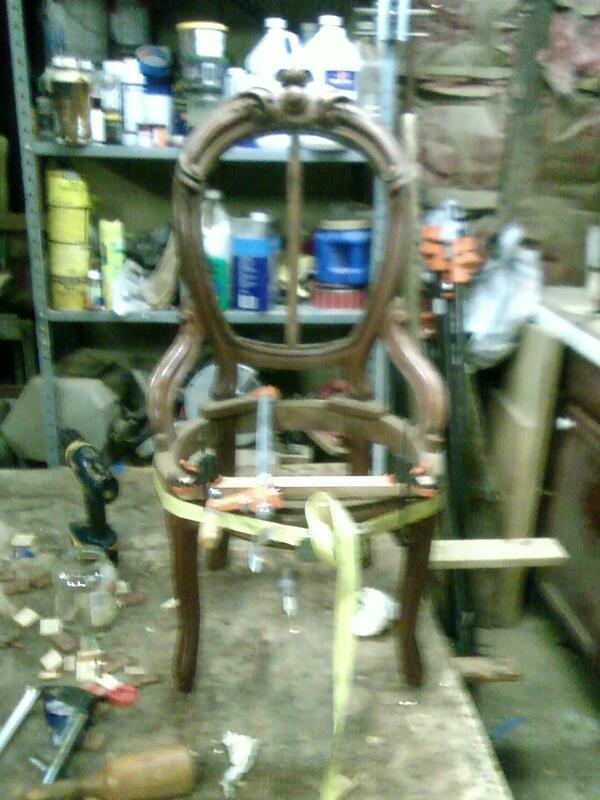 I have been working recently on a set of Victorian parlor furniture. 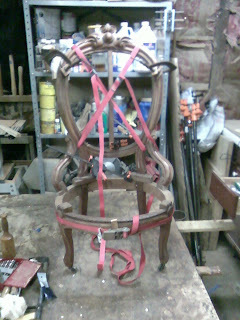 the set consists of a Setee, a Gentleman's chair (with full arms), a Ladies chair (Similar chair without arms) and a set of four side chairs (smaller versions of the Ladies chair). This set of seating furniture dates from 1860 – 1880. The overall style of the furniture is Rococo while showing some Renaissance Revival elements (Mostly in the crest carving). 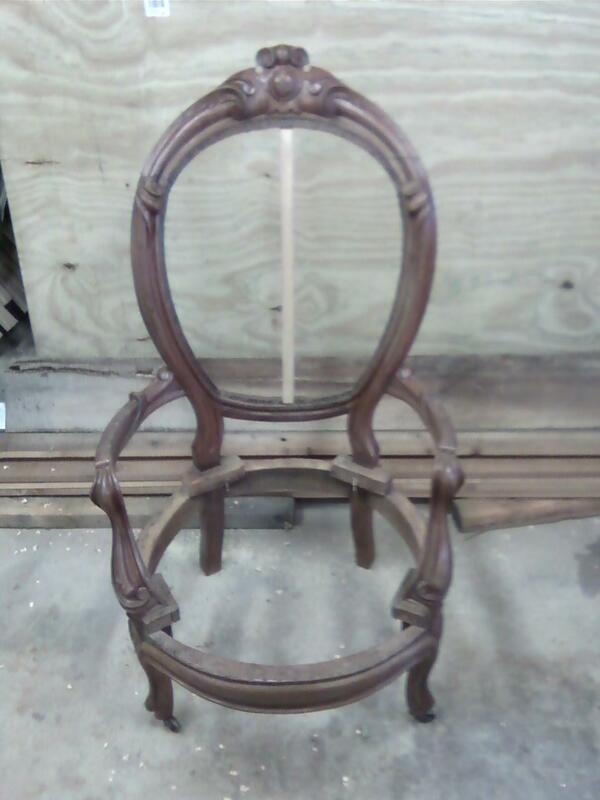 The Rococo Revival Movement (1840-1865) in furniture overlapped with the Renaissance Revival Movement (1860-1880) and in fact was in production to some extend for the second half of the 19th Century. These pieces come from the Late Rococo period and show the influence of machines in the fabrication of furniture. 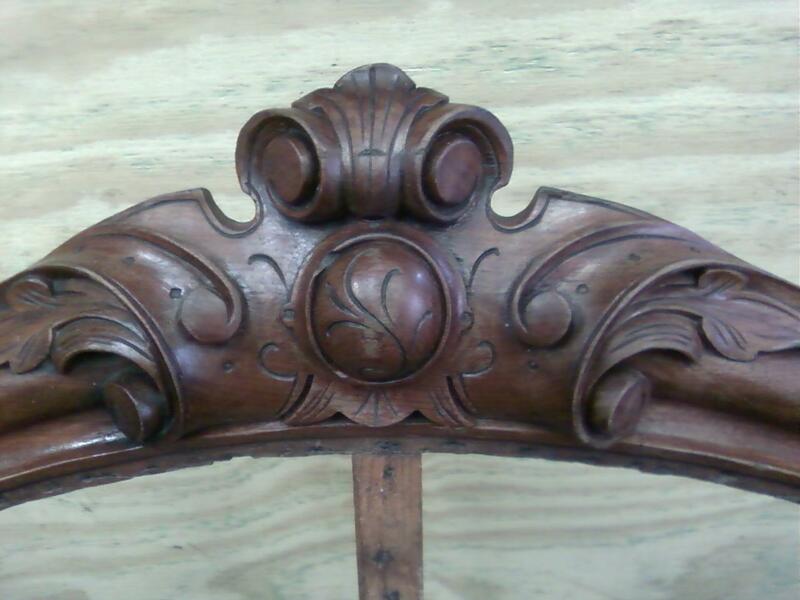 The ornate hand carved elements seen in the earlier Rococo examples have been simplified for the mass production of furniture. 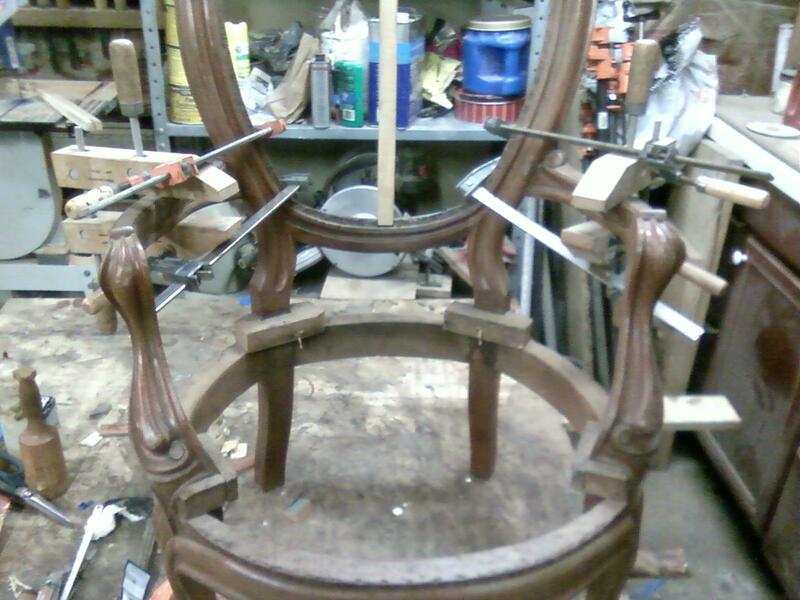 While this is the case, sections of the chairs were definitely carved by hand as creating these pieces by machine alone would have been impossible at this point in time. The ornamentation of Rococo Revival tended to use foliage and fruit motifs as accents while the later Renaissance Revival movement drew inspiration from architectural motifs. The design of the crest rail draws more inspiration from the later period. The overall lines of the set including use of Cabriole legs points towards Rococo (True Renaissance Revival pieces would often have a turned front leg.) For these reasons one can refer to these pieces as being transitional. Transitional pieces like these are often found during this time because manufacturers had an easier time creating and blending these styles. This in no way diminishes the value of a piece. 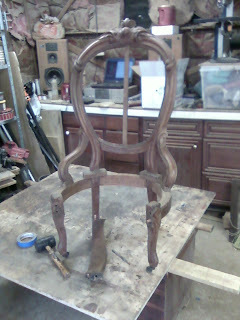 The set came to me without upholstery and in need of mostly cosmetic repair. 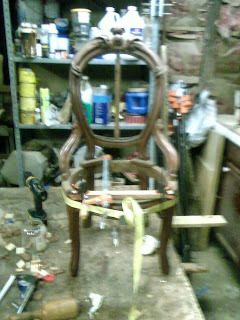 There was some gluing of the frames to be done first however, and I have posted Photos of the gluing process. 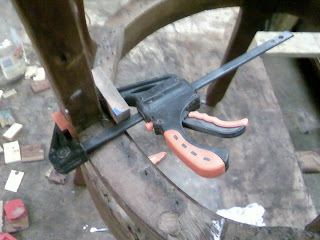 What is interesting about these chairs is that when gluing them, a restorer has to be creative with clamping since there are now square edges. I find that it is easiest and most effective to use ratcheting band clamps to get a good strong bond. 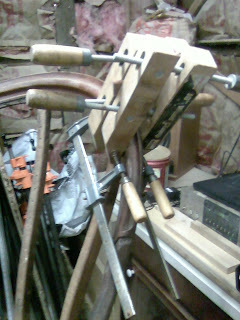 The photos below show these and other clamping ideas in action. I´ve visited your website http://johnmarkpower.blogspot.com/ and I was wondering if it would be possible to get a link to my partner's website on it? I have an identical chair. What would value this chair at?